Mr. Dean Albert Woirol, age 89, passed away Thursday, January 24, 2019. 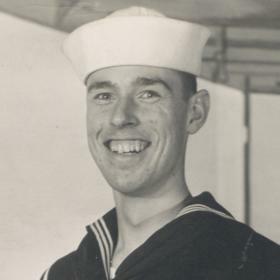 He was born in Muskegon, MI on February 21, 1929 to Ernest & Pearl (Price) Woirol and served his country in the US Navy during the Korean Conflict. Mr. Woirol had been employed as a machinist for Teledyne Continental Motors for 30 years until retiring. 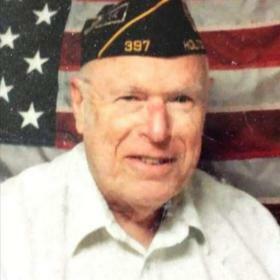 Dean was a life time member of American Legion Post 3195 in Holton, was an avid bowler, enjoyed going out to eat and traveling. Children, Daniel R. (Barbra J.) Woirol & Kelly (Paul) TenBrink; grandchildren, Daniel Jr (Rachelle) Woirol, Justin (Amanda) Woirol, Eric, Samantha, Laura, Ty TenBrink 11 great grandchildren; adopted daughters, Kari Woirol & Michelle Harris; sister, Lucy Woirol & many nieces & nephews. He was preceded in death by his parents; brothers, Kenneth, Richard, Ralph, Clayton & Roy; sisters, Leota Baun & Catherine Walden. Saturday, April 13, 2019, 2:00 PM with visitation one hour prior to the service at the Clock Chapel-Muskegon with Rev. Terry Fulk officiating. MEMORIAL: In lieu of flowers, please consider giving to The American Diabetes Association.